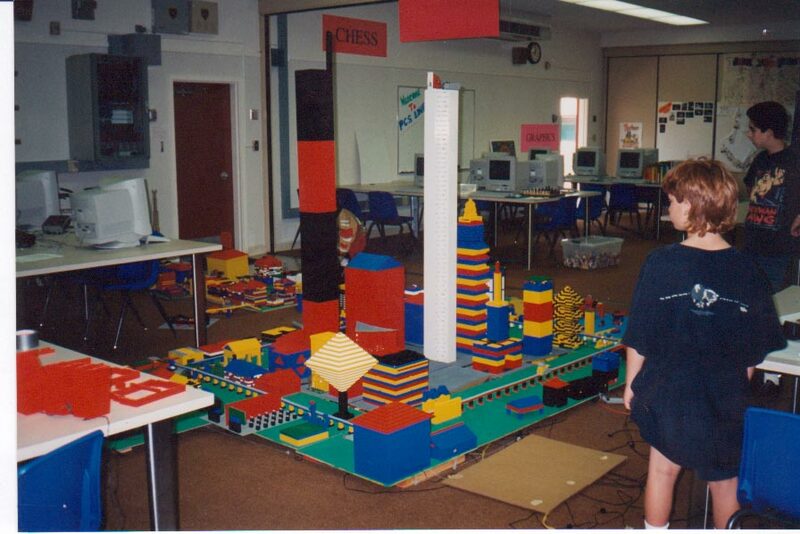 Here is a picture of LEGO City we built at our first camp in 1997 at Davidson’s Middle School in San Rafael, CA. We taught 75 kids that year. It’s crazy to think that we now teach over 80,000 kids/year in 22 States. For more information on our Play-Well Programs, visit www.play-well.org.